The scariest ride… ever?! No drops on this ride, but what if you get stuck? That song… forever?! 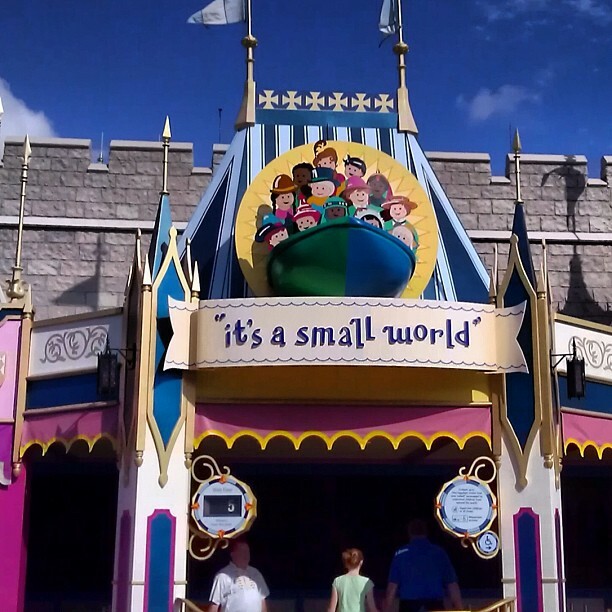 Many times, when people talk about planning a trip to Walt Disney World, and more specifically Magic Kingdom, the talk quickly turns to the attractions that are the most exciting. These attractions are generally the ones that have height restrictions, with required restraints to keep you in the vehicle. As a self-professed ride chicken, there’s a lot of things that give me pause at Disney World: attractions that are so mind-bogglingly scary, I’m not sure how anyone is brave enough to attempt them. With that being said, there are far more attractions that even ride chickens can handle. There’s obviously a variety of reasons people do not like certain attractions, and for a long time I just assumed my fear was roller coasters. While I still cannot ride huge coasters, I have since realized that I actually can’t handle changing altitudes quickly. This leaves out most of the flume-style rides, as well as the larger coasters. For my fellow chickens who share my fear of drops, here is a ranking of the scariness of several popular attractions at Magic Kingdom, as well as some more obscure attractions, complete with their altitude change (i.e., the highest drop). Here is a ranking of the scariness of several popular Magic Kingdom attractions, complete with their altitude change (i.e., the highest drop), top speed, and duration of the ride, ordered by Early Warning Drop System. Pirates of the Caribbean is very popular attraction that opened in 1973, which became even more popular after the blockbuster movies based on the attraction came out. 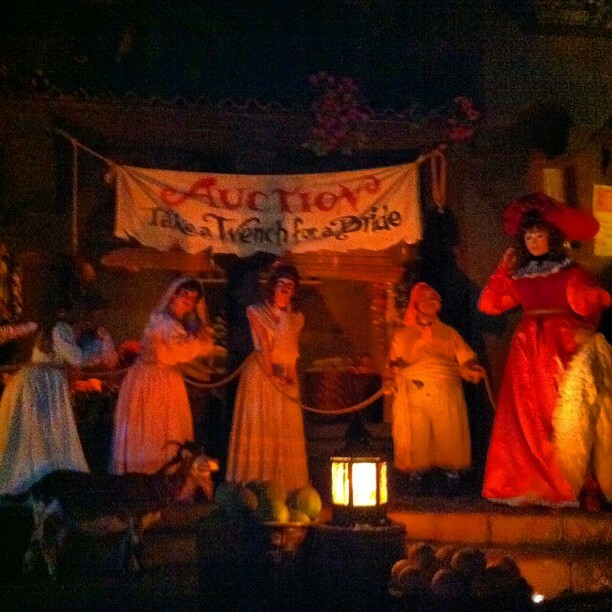 It is an indoor trip through a relatively realistic pirate tableau (albeit a bit more politically correct). With just one minor drop right at the beginning, this ride rates only a 1 on the Early Warning Drop System. This attraction is a very small, very slow to load roller coaster, with only 2 trains holding 16 people at a time. While this ride has similar speeds to Space Mountain, it is over very quickly, making this a good first choice for anyone nervous about trying out a roller coaster. Even if it’s the worst experience of your life, it’s over in less than a minute. This attraction is a real roller coaster, with real small drops, but they are quick and over even more quickly, garnering an Early Warning Drop System rating of 2. 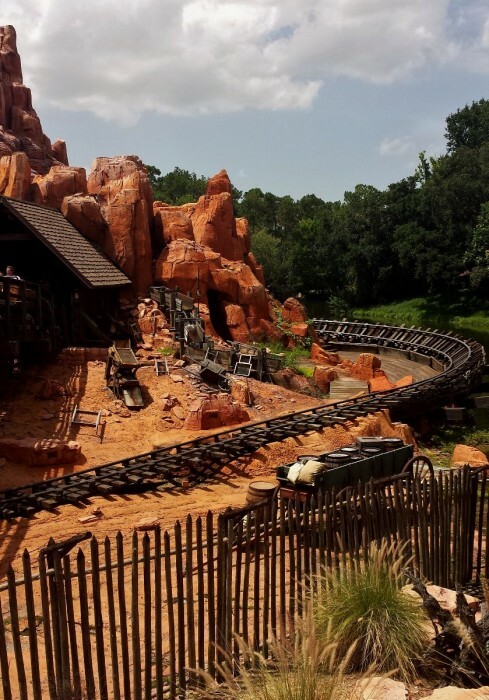 The wildest ride in the wilderness is a runaway mine train, in and around a mountain mining town. 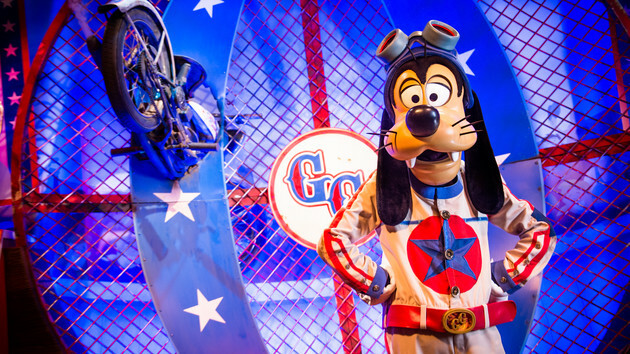 It is highly themed, and was recently refurbished to include interactive elements in the queue. Most of the track is outdoors, which makes it easy to see what’s coming up so you can prepare yourself. The lift hills are quite loud and jerky, which can be off-putting since what goes up must come down. To make the drops less intense, ask to ride in the front row, as it makes a huge difference. There are 3 relatively small drops, with lots of speed and twists and turns. This attraction scores a 3 on the Early Warning Drop System. Seven Dwarfs Mine Train Sign! This ride is tricky to rate, with several drops and one larger drop that is higher than the one on Big Thunder Mountain Railroad. However, it’s a very smooth ride, which makes it seem less intense. It was enjoyable, but with significant drops, it’s still very challenging for people who aren’t fond of drops to ride. Because of all of these reasons, this one rates a 3.5 on the Early Warning Drop System. This ride is an enclosed roller coaster, with a futuristic theme. 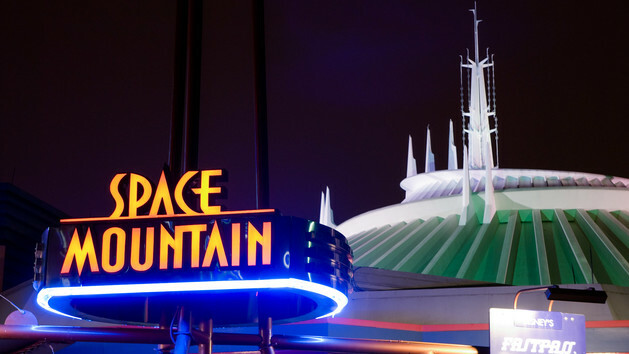 One of the most popular rides at Magic Kingdom, it can be absolutely terrifying for people scared of drops for one reason: most of the ride is completely dark, so you can’t anticipate drops. Because of the relative length and the inability to see what’s coming up, this ride scores a 4 on the Early Warning Drop System. Splash Mountain is a flume-style attraction that contains indoor and outdoor drops, with audio-animatronics and various scenes from Song of the South. This attraction has a chance of getting you wet during the final drop, especially if you are seated towards the front. The ride vehicle is a giant hollow log that can hold 8 passengers, two by two in four rows. With a total of 4 drops, including one that is the equivalent of a 5 story building at a 45 degree angle, this ride rates a 5 on the Drop System. So what do you think? Did I leave anything out? Let me know if you agree with my ratings! Please welcome Katie McNair to the TouringPlans blog team. Katie teaches seventh grade Language Arts in Orlando. I would say very accurate ratings and a nice list to show someone who isn’t that into thrill rides. About 4 years ago my wife and I decided to reverse the usual stereotype and brought my parents to Disney World. My mother who had never been on any roller coaster in her entire life, had decided she needed to try at least one. Unfortunately she settled on Everest in AK on our first day. Yep, never again. However the picture came out so amazing (at least the rest of us thought so) that I purchased the large one, had it framed and dropped off at her dental office. I still get flak about it. Your poor mother! I am pretty sure I would die on that ride… from fear alone. And photo evidence! Too funny. Well, Barnstormer was WAY too much for me, and I thought my head would snap off on Big Thunder Mountain because there were no headrests, but I love Splash Mountain! Go figure! 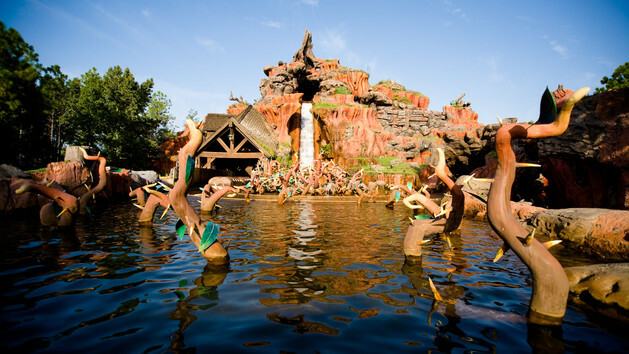 I have to be honest… I haven’t been brave enough to try Splash Mountain yet… that drop is just too much for me. Big Thunder Mountain tries to shake you to death, I agree. The drop is over in seconds and if you keep your eyes closed, it’s over before you know it, and the rest of the ride has some very small hills but is really cute. I avoided Splash Mountain for years, and finally took the chance two years ago. I’m trying to keep my eyes open more each time I ride now!! Give it a try and good luck! Significant drops on SDMT? I was actually thinking about trying to ride that one after reading a ton of other reviews. Thought I would just have to prepare myself for the one near the end coming out of the mine. And that is 41 feet? Yes, the largest is 41 feet, but it’s really smooth, so it really does seem less. It was really hard for me to rate. I was a bit scared by the drop, but it was over so quickly I wasn’t sure how to feel. But it was doable for me, so give it a try! Love this list! It’s the drops that I can’t handle so this is very helpful. Tried splash mountain again a few years ago & still not for me. I am thinking about being brave and trying the mine train in January though. Have you been to DL lately? Any idea how the drops on the mine train compare to the bumps on radiator springs or the drop before the ball on Indiana Jones? I can handle those so I’m curious. Thanks! 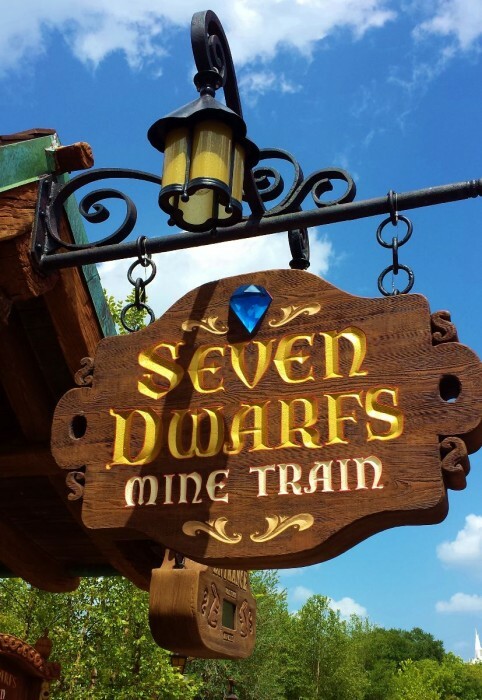 I’ve never been to DL, but that’s my dream right now… But I find the drop on the Seven Dwarfs Mine Train a bit scary, but totally doable. The Indiana Jones ride is the same layout as the Dinosaur ride at Animal Kingdom, and I agree, that doesn’t even seem like a drop to me. It’s fun! I would give the new SDMT a try, because it’s so pretty and smooth, it’s worth trying at least once.